If a Police Officer Asks You to Take a Field Sobriety Test What Should You Do? | Raw Law | Law Offices of Adam M. Thompson, P.C. Although every traffic stops is unique, stops that are based on a suspicion that the driver has been drinking and driving tend to follow the same basic pattern. Therefore, if you are ever stopped for driving while intoxicated in New there is a good chance the officer will eventually ask you to perform a series of field sobriety tests, or FSTs. 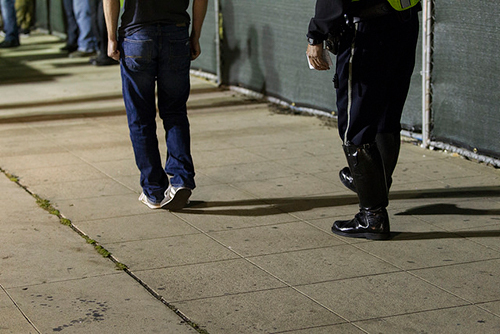 If a police officer asks you to take a field sobriety test what should you do? Ultimately, only you can make that decision; however, a better understanding of FSTs as well as how they are used may help you make that decision. Walk and turn - requires a driver to walk, heel to toe, nine steps and then turn around and walk back. One leg stand – requires the driver to stand on one leg with arms down for a count of 30 seconds. HGN – looks for horizontal gaze nystagmus, or "twitching" in the eye which serves as a sign of alcohol or drug impairment. Although the standardized FSTs have specific instructions and guidelines for determining if a motorist passed the test or not, at the end of the day the officer conducting the test makes a subjective determination whether or not the driver passed or failed the test. Because there are so many factors that can cause a motorist to fail the FSTs (including nerves alone), it is rare that a driver is released to go on about his or her way after performing FSTs. In summary, taking a field sobriety test rarely does anything more than provide an officer with additional evidence used to make an arrest.